Maxseal Flex – Flexible Waterproofing For Concrete,Masonry, Blocks, Pre-Fabricated Panels & Brick Against Water Pressure. A Flexible Waterproof Coating Against Positive And Negative Pressure For Concrete, Masonry, Blocks, Pre-Fabricated Panels And Brick. It is a two-component product. Component “A” is a water-based special acrylic resin and component “B”, is a mortar based mixture of special cements, additives and well-graded aggregates. Once applied and cured, Maxseal Flex provides a non-toxic, flexible and waterproof coating with very high adhesion on those common substrates in construction- concrete, natural and artificial stone, traditional mortar plasters, bricks, concrete blocks, Hebel etc. Maxseal Foundation - Waterproof, Cement-Base Coating For Exterior Underground Concrete And Masonry. It is a construction grade cement based product which, together with special additives and selected aggregates gives it waterproofing characteristics, whether the foundations are in concrete or masonry. 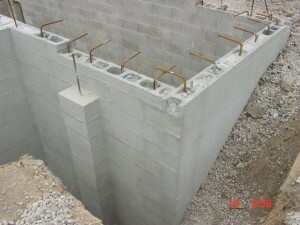 It gives high protection to foundation concrete due to its high resistance to aggressive waters. Maxplug - is a quick-setting hydraulic cement that instantly stops running water from cracks, holes or other openings in concrete and masonry, once it sets. It does not contract and sets within three to five minutes depending on the temperature. It only requires water for mixing. To seal leaks instantly in concrete surfaces and solid masonry. For emergency repairs on water pipes. For broken pipes, sometimes MAXPLUG will even work when the pipes are under pressure. To anchor bolts and other accessories that requires immediate use. In basements, tunnels and sewers, to stop water under pressure. EFFLORESCENCE-RID is a unique scientific developed industrial strength salt (efflorescence) remover specially designed to effectively remove efflorescence in industrial, commercial and residential situations. The formulation contains no solvents, but is corrosive. Is non-flammable, non-carcinogenic, is biodegradable. Observe Safety & Health Precautions – Product is Corrosive (Class 8). On application to the affected areas, EFFLORESCENCE-RID penetrates the surface and liquefies the salts (efflorescence) and brings it to the surface of the substrate, where this is washed away, then after 20 minutes or longer EFFLORESCENCE-RID is re applied to the same area. User friendly, it does not require special protection equipment. Protect surrounding areas, wet down plants and trees, cover metal and glass. Environmental friendly (is considered a green product) non-flammable. 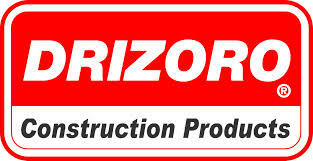 It permanently waterproofs, insulates, hardens and preserves concrete, plaster, mortar and most natural stone. The scientific formula causes a reaction that solidifies the component parts of masonry, concrete and cement mortars into a single mass making it waterproof, resistant to acid, oil, fuels, fats and grease. Increases the density of the substrate, increases wear capability, will prevent dusting, brick fretting, cracking.